Two Lytham men have been arrested on suspicion of attempted murder after a man was shot in the head in Accrington. 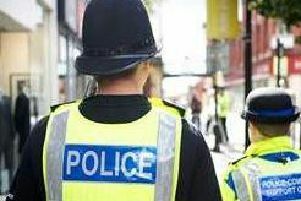 Police were called around 9pm on Monday, January 12, to a report that a 35-year-old man had been assaulted outside an address on Maudsley Street in the town. A shotgun was discharged causing head injuries. The victim, Mark Walsh, was taken by ambulance to the Royal Preston Hospital where he remains in a stable condition. His injuries are not life threatening. A major investigation continues and two people have been arrested on suspicion of attempted murder. They are men aged 29 and 26 from Lytham. They remain in custody. Detective Chief Inspector Dean Holden said: “While we have arrested two people this remains very much an ongoing enquiry and I would appeal to anyone who has any information or who witnessed anything suspicious in the Maudsley Street area on Monday night to get in touch. He added: “We have a large team of officers and staff working on this inquiry and we are determined to bring those responsible to justice. “The discharge of a firearm in Lancashire is rare and this is the first incident we have had for some time in East division. “I would reassure the public that patrols will be stepped up in the area and a team of highly trained officers are dealing with this incident. Should anyone have any information that could assist the investigation then I would urge them to call the police. Anyone with information is asked to call police on the non-emergency number 101 quoting log number 1230 of January 12, or contact the independent charity Crimestoppers anonymously on 0800 555 111 or on-line at Crimestoppers-uk.org. No personal details are taken, information is not traced or recorded and you will not go to court.